ID: 40 ~ Source: University Archives Photograph Collection, UA 8. ~ Creator: College of William and Mary. 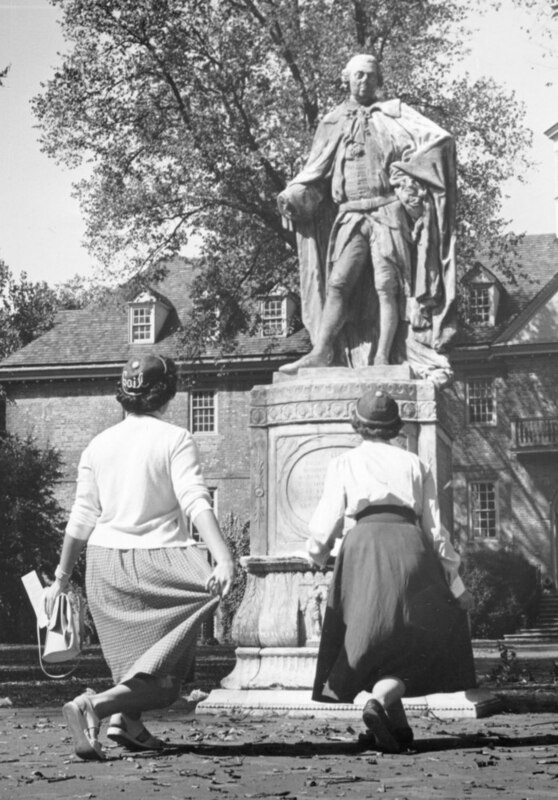 Girls (Gail Bowen and Ann Baird) curtsy to the original statue of Lord Botetourt as freshman in 1953.